This quote always reminds me that no matter how much I have, I will not be trully fulfilled unless I invest my time and energy into helping others that are less fortunate than me. I believe this is what our volunteers and staff felt this past January when we visited the children from the school in the Ogra village to give each of them a pair of winter boots and wool socks. 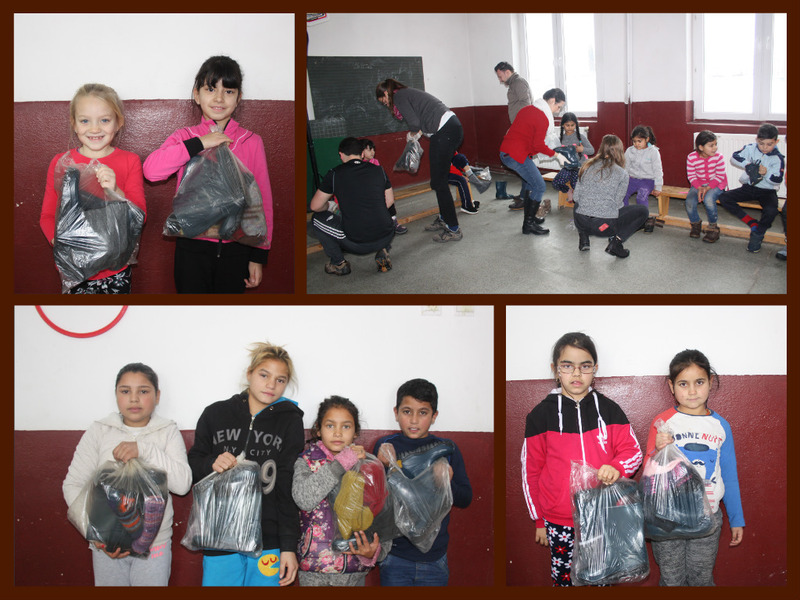 We received a donation of winter boots and socks from Metro Ministries Sighisoara. We arrived there at 10:30 on a cold Monday morning, the children were so excited to see us! They all wanted to help carrie the boxes. The school in Ogra has 260 children that come from poor families, we as a foundation are trying to support these children to go to school on a daily basis and the lack of warm footwear during the snowy cold winters in Romania is an impediment to that. The children were so excited to try and receive the boots and socks. We want to thank Metro Ministries and our volunteers Damaris Moldovan, Bianca Pacurar, Carmina Cordos si Claudia Roman from Economic High –School in Targu-Mures, for joining our staff and dedicating their time and energy into giving and being a there for these children in need. If you want to keep up with our work in Ogra, you can follow our facebook page https://www.facebook.com/ograministry/ where we post weekly.